The State Hermitage Museum's outpost in Amsterdam opened an exhibition in early February about the end of the Romanov dynasty, exactly a century after the 1917 Russian Revolution. 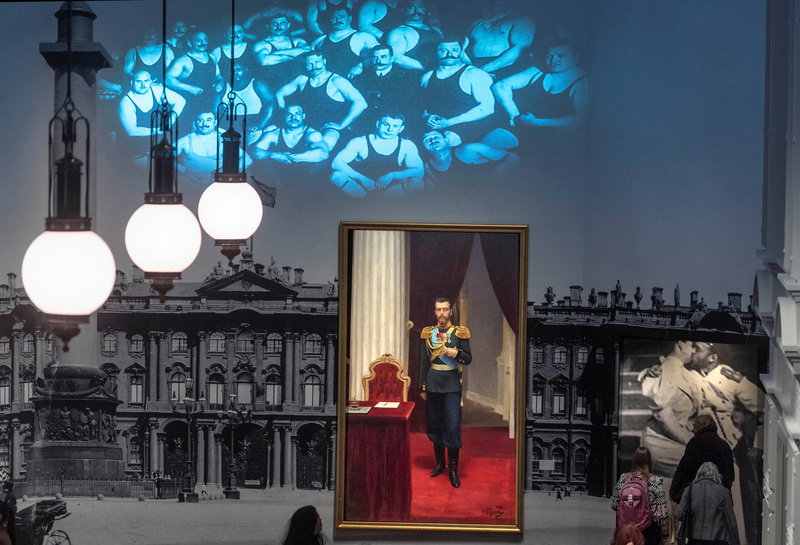 “Romanovs & Revolution" runs until Sept. 17 and focuses on the life and reign of Emperor Nicholas II and Empress Alexandra in early 20th century St. Petersburg. It features over 250 items from the collections of the State Hermitage Museum, the State Archive of the Russian Federation, and the Artillery Museum in St. Petersburg. The exhibition is interactive, featuring not only photographs and paintings, but also clothing and personal items that belonged to the Imperial family. Visitors learn about the choices and political circumstances leading to the Russian revolution and the murder of the Romanovs. Special attention is paid to the riches of Imperial St. Petersburg, for example, displaying a mini-version of the upscale Passage indoor shopping area that still exists today. Works of art and novels produced during Nicholas’ reign are also displayed alongside Faberge eggs and war propaganda posters by Malevich, and more. One of the most shocking items in the exhibition is the bayonet that killed the Grand Duchesses Olga, Tatiana, Maria and Anastasia in 1918. While they survived the Bolshevik firing squad that killed their parents and brother because the bullets ricocheted off their diamond-encrusted corsets, they could not survive the bayonet that definitively ended their lives and the Imperial family.